Lucy McKenzie’s work focuses on quantifying and realizing the economic benefits of electric vehicles (EVs) and other distributed energy resources. Since joining E3 in 2015, she has led work for utilities, regulators, and technology companies across the U.S. Most notably, Lucy has led the development of industry-leading transportation electrification “strategic roadmaps” for both investor-owned and publicly owned utility clients. Her other EV-related projects include quantifying the societal and ratepayer benefits of EVs for utilities around the country; reviewing global best practices on EV regulation and policy for the Sultanate of Oman; developing e-bus rate design recommendations for the California Transit Association; and identifying optimal locations and best practices for public EV charging for PG&E. 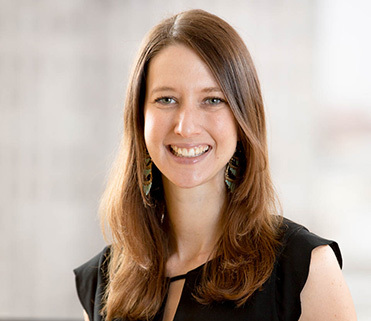 Lucy has led work helping California regulators on issues related to flexible loads, low-carbon building standards, and the state’s Self-Generation Incentive Program (SGIP). She also built NYSERDA’s “Value Stack Calculator” to quantify the value of distributed solar and storage under New York’s updated incentives. Lucy finds her motivation in enabling technologies and policies that will curb greenhouse gas emissions. She enjoys the technical rigor and collegiality of E3’s work environment, as well as managing cutting-edge projects with outside contributors and diverse clients. Before E3, Lucy worked on projects involving energy and environmental issues at the Analysis Group.